- Those that belong to the A-series and that are strictly vacuuming robots. - Those that belong to the V-series, most of which are capable of both vacuuming and mopping. 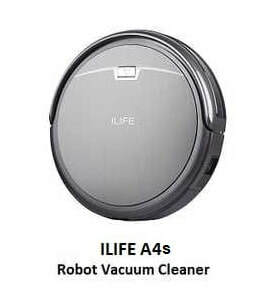 In this article we will compare the A-series ILIFE vacuuming robots A4s, A6 and A8. If you'd rather see a comparison of ILIFE V-Series robots that include robots that can both vacuum and mop, please click: ​ILIFE V-Series Vacuuming and Mopping Robots. 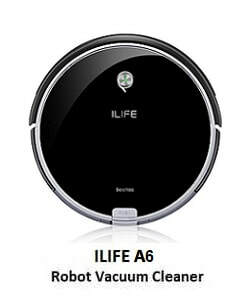 ​ILIFE was founded in 2007, and has been developing robotic vacuum cleaners ever since. With a strong R&D team, ILIFE developed numerous patented technologies in the robotic vacuum industry, serving as one of China’s leading enterprises in the robotic vacuum domain, from R&D support to extensive manufacturing capability. All ILIFE products are assured to pass high quality control and acquire the international FCC, CE and RoHS Certifications. (FCC: Federal Communications Commission is the US certification that the product is approved for use in the US. CE: European Conformity Certification that indicates that the product complies with all relevant European requirement. This article will compare the ILIFE A4s, ILIFE A6 and ILIFE A8 vacuuming robots. 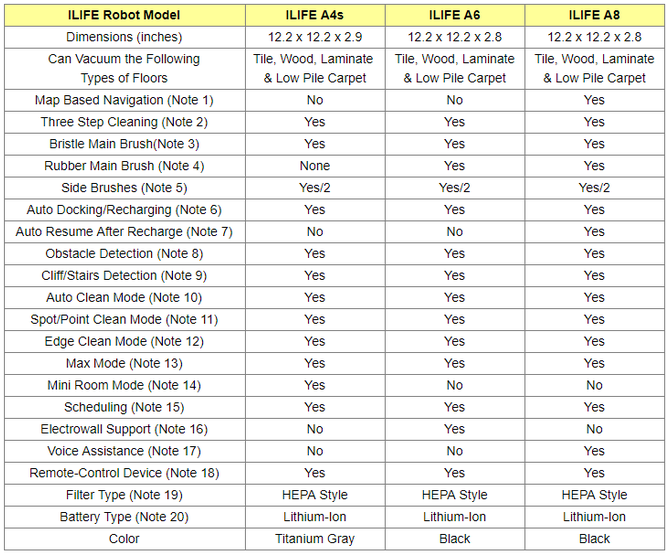 Otherwise, please read on below for a detailed comparison of the above listed ILIFE robots. ​The following table compares the ILIFE A4s, ILIFE A6 and ILIFE A8 robots​. ILIFE A8 uses a live-vision camera to scan the rooms and create a panoramic map of its surroundings. Using the map, it computes a systematic and efficient cleaning pattern that avoids redoing or skipping any areas. This is the groundbreaking PanoView navigation that uses the advanced CV-SLAM graphics algorithm that helps the robot to map the floors even faster and more precisely. One rolling main brush that picks all dirt and debris on its path. The main brush can be either a bristle brush or a rubber brush, depending on the robot model. - A4s comes with a bristle brush that features a tangle free design. - A6 and A8 come both with a bristle brush and a rubber brush that can be interchangeably used. Though both type of brushes can be used on all type of floors, the bristle brush is best for carpets, while the rubber brush is best for hard floors and pet hair. Two side brushes that effectively gather dirt and debris at corners and edges. A powerful suction system that vacuums dirt into the dustbin. - A4s is built with the Gen 1 CyclonePower cleaning system. - A6 is built with the Gen 2 CyclonePower cleaning system. - A8 is built with the Gen 3 CyclonePower cleaning system. Note that Gen 3 CyclonePower is more powerful than Gen 2 CyclonePower, which is more powerful than Gen 1 CyclonePower. In summary, the side brushes sweep dirt from edges and corners to the cleaning path; the main brush rolls up all the dirt and debris found on its path, and the powerful suction sends the collected dirt and debris into the dustbin. Though it can be used on all type of floors, the bristle brush is great for deep cleaning of low pile carpets. Though it can be used on all type of floors, the rubber brush is is best for hard floors and pet hair. The two side brushes effectively gather dirt and debris at corners and edges and sweep it to the cleaning path. All three ILIFE robots considered here come with a charging station (also known as the docking station). When the battery gets low, these robots automatically return to their charging station, dock and recharge, and they are always ready to clean. The charging dock needs to be in an open area with no foreign objects within 40 inches from its sides and 120 inches from its front. After auto-recharge, only ILIFE A8 resumes automatically the vacuuming job, if it was not completed. The other three ILIFE robots need to be restarted after recharge, unless they were already scheduled to restart later. Equipped with a full suit of infrared sensors, all ILIFE robots avoid obstacles and protect your furniture. They freely go under narrow places (beds, sofas, etc.) and easily cross between chair legs. A full suit of infrared cliff sensors keep all ILIFE robots from falling off stairs. When they detect a height which is above 8cm (3.14 inches), they slow down and select a new path. All three ILIFE robots considered here can be activated in automatic mode by pressing the CLEAN button on the unit or on the remote-control device. In automatic mode, the robot adjusts its cleaning behaviour based on the worked required to do the job. All three ILIFE robots considered here can be asked to do a spot clean for very dirty places. Spot mode easily handles floors with heavy dirt or hair. Spot cleaning can be invoked using the remote-control device. All three ILIFE robots considered here can be asked to do an edge clean which makes the robot clean intensely along walls and corners. Edge cleaning can be invoked using the remote-control device. ​The suction power of all three ILIFE robots considered here can be increased by selecting the Max mode to enjoy a super-powered clean with maximum pickup. Max mode cleaning can be invoked using the remote-control device. Mini-Room cleaning mode is available only on ILIFE A4s, and it allows the robot to clean the room more deeply and precisely in a short time, when just a single separate room needs to be cleaned. Mini-Room mode cleaning can be invoked using the remote-control device. All three ILIFE robots considered here can be scheduled to clean your home automatically every day, at a specific time, even if nobody is at home. Scheduling is done from the remote-control device. Electrowalls are battery run standalone little devices that stop the robot from entering areas that are not supposed to be cleaned. The device basically creates an invisible barrier that the robot won't cross. That makes it easy to confine the robot to a particular room or area, and prevent it from getting too close to anything delicate or dangerous. An Electrowall and the required batteries are included when you get the ILIFE A6 robot. The intelligent i-Voice technology, available only on ILIFE A8, tells you vocally what the robot is doing or if it requires attention. All three ILIFE robots considered here come with a remote-control device that can be used to schedule the robot, to invoke the various run modes, such as auto clean, spot clean and edge clean, and to send the robot to home base to dock and charge. All three ILIFE robots considered here are equipped with a primary filter and a HEPA style filter. The primary filter traps coarser dust particles, pet hair or any other type of hair in the dust box. Both filters can be easily removed and cleaned periodically. All three robots considered here are equipped with a 2600mah high capacity rechargeable Lithium-Ion battery that delivers performance during cleaning. The fade-free technology used in these batteries ensures a steady and lasting battery life. The run time for these batteries after a full charge can vary anywhere from 90 minutes to 120 minutes, depending on the amount of work the robot has to do. Note that the amount of work the robot has to do depends on many variables such as the cleaned area size and shape, furniture and other objects present in the area cleaned, floor and carpet type as well as the amount of dirt and hair to be picked up. ​ILIFE robots come with 1-year warranty for fixing and 1-month for replacement. For exact price information on the above compared robots, please refer to the Amazon products section below. ​So which ILIFE vacuuming robot is best for your home's cleaning needs? The fact that each of the three ILIFE robots compared above had received at the time of this writing an average rating of at least 4 stars (out of 5 stars) says that most Amazon customers were happy with these robots. Like with any product, there are always a few that give negative reviews, and in this case, those who gave negative reviews complained mainly about the robot not being able to find its docking station. In most cases, this is related to ILIFE recommendations not being correctly followed. The company recommends that the charging dock be placed in an open area with no foreign objects within 40 inches from its sides and 120 inches from its front. One improvement we would have liked to see with these robots is some sort of indication when the dust bin gets filled up. Presently, the user has to check to see whether the dust bin is full. However, the dustbins that these robots are equipped with are quite large, and therefore, for the average home, it should be enough to empty the dustbin just once, when the vacuuming job is completed. It is equipped with a camera and uses map based navigation which allows it to compute a systematic and efficient cleaning pattern that avoids redoing or skipping any areas. After it recharges itself, it can resume the vacuuming job automatically where it was left off. ​It comes with the most powerful Gen 3 CyclonePower cleaning system. It talks and tells you about what states the robot is in. If you want to have the choice of using a bristle main brush for carpet cleaning and a rubber main brush for hard floors, then you might want to select either ILIFE A6 or A8 which, according to the Amazon product descriptions, come with both types of brushes. If you want a robot that can be prevented from entering rooms and areas that are not supposed to be cleaned, then you might want to consider ILIFE A6, which uses Electrowalls. Note that the Amazon price often includes a generous discount to the list price. If a discount exists, both the Amazon price and the list price will be displayed when you click the Amazon product link images below.